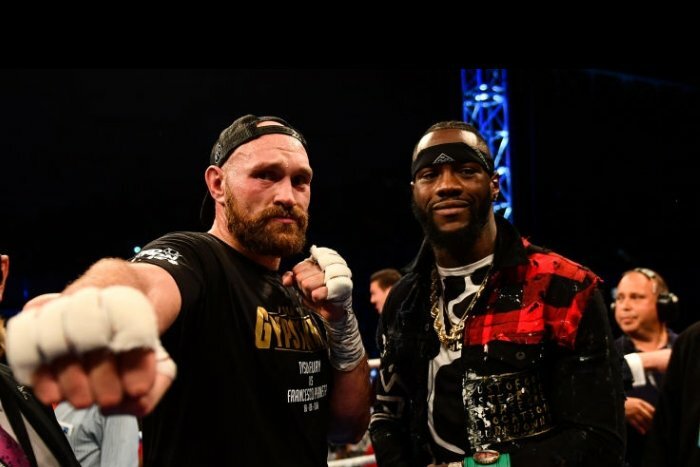 Lineal heavyweight champion Tyson Fury will meet WBC titleholder Deontay Wilder in the United States before the end of the year. A date and venue is yet to be confirmed but Los Angeles’ Staples Center appears to be the frontrunner to host the event. Fury broke the news on his Instagram account on the same weekend that domestic rival Anthony Joshua defends his WBA, WBO and IBF heavyweight titles against Russian veteran Alexander Povektin at Wembley Stadium in London. “S**t just got serious. I’ve just signed my end of the deal for the Wilder fight, signed, sealed and delivered. It’s up to them now,” Fury wrote on social media. “Deontay Wilder, you’re going to get it mate. You’re in big trouble. I’ve never met a man I couldn’t beat in the boxing ring or in the street. “I know you’ve got a big punch, a big mouth. I know you want to win but you don’t want it like I do. “I will out heart you. I will force my will upon you until you quit. An international tour is set to begin in London next week to officially announce the fight.